Trump's supporters were eager to celebrate the end of the Mueller investigation. “The special counsel completed its report and found no collusion and no obstruction. I could have told you that two and a half years ago very easily,” Trump said. At the mention of special counsel Robert Mueller, who president Trump likened to a “god” for the Democrats, the crowd erupted in boos. Characterizing the investigation as a “phony” and “disgusting” cloud, the president said the motive was denial of his election victory. “They did it all because they refused to really accept the results, of one of the greatest presidential elections, probably No. 1 in our history,” the president said. In a nearly 90-minute speech, Trump launched attacks on Schiff, who Republicans have called on to resign, accusing him of a promoting a “false narrative” ahead of the release of the Mueller report. “Little pencil neck Adam Schiff,” the president said. 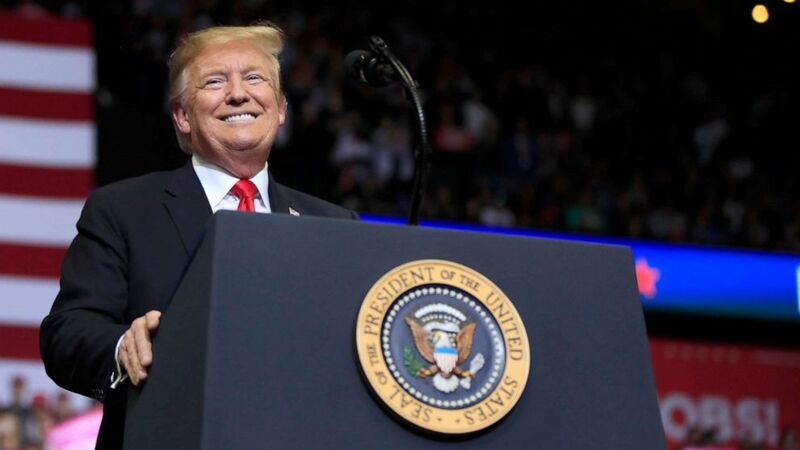 The president’s stop in Michigan symbolizes a new chapter in the president’s re-election campaign. After months of calling the Mueller investigation a “witch hunt,” the president incorporated the conclusion of “no collusion” in his campaign rhetoric, based on a four-page summary of Mueller's report by Attorney General William Barr, which was released on Sunday. The special counsel handed off his full report to the Department of Justice on March 22. Despite the president mischaracterizing the summary as an “exoneration,” Trump's supporters were eager to celebrate. “I did a happy a dance and said, “Yes!” supporter Judy Wright said as she waited in line hours before the president’s rally. The enthusiasm even rippled 100 miles away. 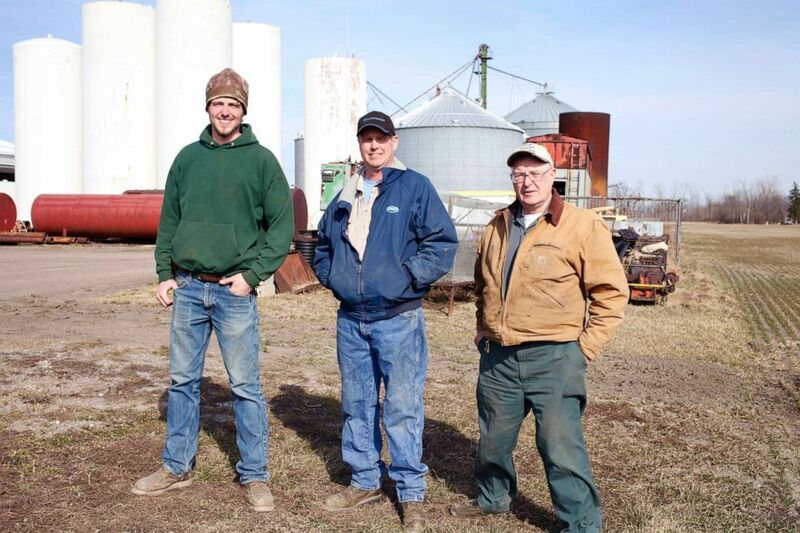 Third-generation farmer Donald Wendland Jr. took a break from the family business Wednesday to share his delight in the end of special counsel’s probe. “I’m glad he got vindication,” Wendland said. 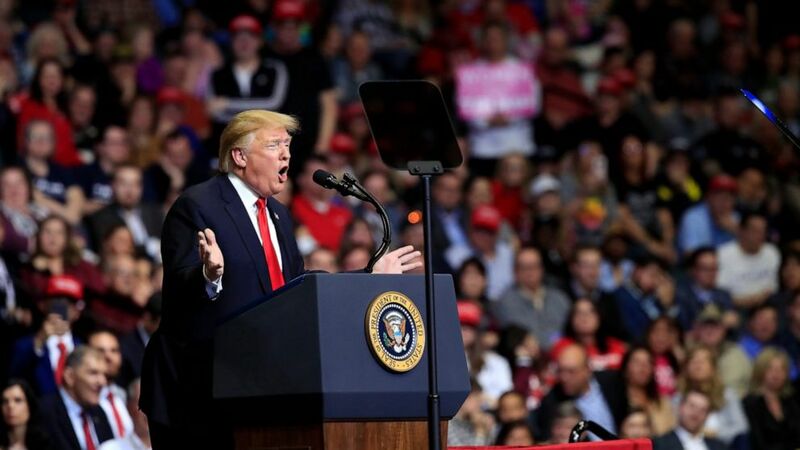 (AP Photo/Paul Sancya) President Donald Trump speaks during a rally in Grand Rapids, Mich., Thursday, March 28, 2019. Wendland said he believes Democrats will only push voters into the arms of Republicans by refusing to accept the results. Winning back Michigan will be key for the Democrats in 2020, after Trump became the first Republican to win the state in almost 30 years. Supporter Jay Wright, who voted for Democrats including Bill Clinton in the past believed President Trump has been the most effective. “Bottom line is, I’ve been Republican now for the Bush administration. President Trump is the only president I’ve ever seen that has made it a point to fulfill his campaign promises. … Everything is going to plan with Trump -- our economy is high, our unemployment is high,” Wright said. (Rachel Scott/ABC News) Third generation farmer Donald Wendland Jr. in Saginaw, Michigan photographed with his father and son. 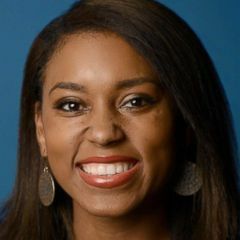 Democrats will be tasked with winning over voters who are satisfied with the results of the president’s economy -- the state's unemployment in February held at 4 percent for the fifth straight month. And Republicans, including the president, will have to contend with reality of Democratic Gov. Gretchen Whitmer, who defeated her Republican opponent in the 2018 midterm elections, despite Hillary Clinton’s loss there in 2016. Some believe the gubernatorial sweep by Democrats will lead to the defeat of Trump, but Tim Kelly, a former member of the Michigan House of Representatives, disagreed. “The Trump voter isn’t necessarily a Republican voter. They are solely his voters,” the Republican said. He said he has noticed a clear difference in how voters support Trump versus others in the GOP. “When he goes to these rallies and says I want you to vote for Republicans, they aren’t as enthusiastic as when he says I want you to vote for me,” Kelly said. Still Democrats are laying the groundwork as they attempt to unseat the sitting president. Democratic candidates Beto O’Rourke and Sen. Kirsten Gillibrand have already targeted the key state with early visits and other candidates, such as Sens. Amy Klobuchar and Kamala Harris, have scheduled dates to hold events there. And Michigan Democrats have partnered with other key states in an effort to defeat Trump. 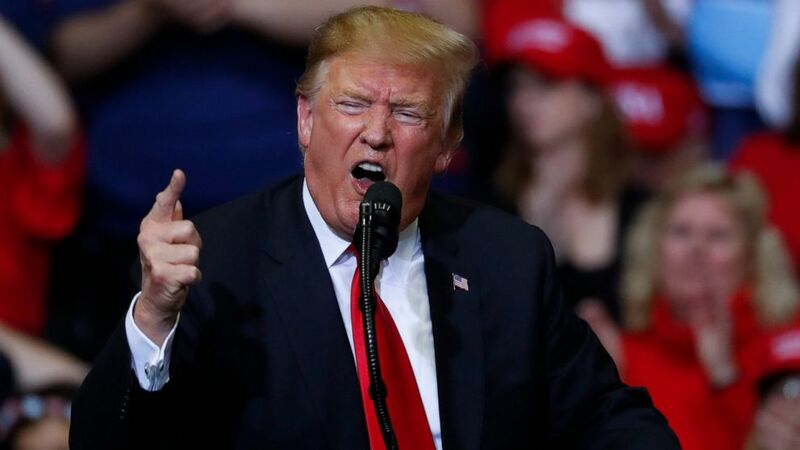 (Manuel Balce Ceneta/AP) President Donald Trump speaks at a campaign rally in Grand Rapids, Mich., March 28, 2019. But during his rally in Grand Rapids, Trump criticized the Democratic party and his former opponent, Clinton, for not prioritizing the state while campaigning in 2016. Reviving 2016 campaign rhetoric, the president praised his own efforts to "rain the swamp," while touting his efforts on immigration, criminal justice reform and the economy. As the issue of health care returns back into the spotlight, the president said his administration has begun an initiative to reduce the price of prescription drugs and vowed to protect those with pre-existing conditions. He also touted his own success. “I have a better education than them, I'm smarter than them, I went to the best schools, they didn't. Much more beautiful house, much more beautiful apartment. Much more beautiful everything. And I'm president and they're not,” he told the crowd.